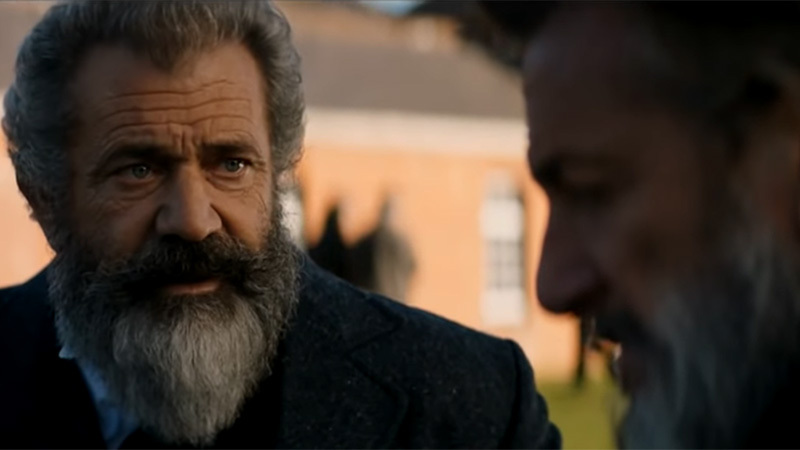 After a two-year delay due to legal issues, the Mel Gibson and Sean Penn-starring biopic The Professor and The Madman is making headway in getting to the big screen with Vertical Entertainment acquiring the distribution rights last month and now releasing the first trailer for the project, which can be viewed in the player below! The film is based on the 1998 book, the true story of the creation of the Oxford English Dictionary — a tale that delves into madness, genius and two obsessive men who changed the course of literary history. Gibson will play Professor James Murray, who in 1857 set about compiling the OED, one of the most ambitious projects ever undertaken. Penn will play Dr. W. C. Minor, who submitted more than 10,000 entries but was also an inmate at an asylum for the criminally insane. Screenwriter Farhad Safinia (Apocalypto) will make his feature directing debut on The Professor and the Madman after co-writing the screenplay with John Boorman and Todd Komarnicki. Gibson and Bruce Davey will produce. In addition to Gibson (Hacksaw Ridge) and Penn (Gangster Squad), the film also stars Natalie Dormer (Game of Thrones), Ioan Gruffudd (San Andreas), Jeremy Irvine (Mamma Mia! Here We Go Again), Steve Coogan (Stan & Ollie), Jennifer Ehle (The Miseducation of Cameron Post) and Eddie Marsan (Ray Donovan). The film was shot in 2016 and was expected for a late 2017 release, but following a lawsuit in July 2017 between Gibson’s Icon Productions and Voltage Pictures over controlling certain aspects of production, including final cut, the film was shelved. But after a judge denied Gibson’s motion, the rights to the film were open to business and Vertical Entertainment acquired the rights in January. Although no release date is set, the release of a trailer and the fact the film is already completed are good signs it could hit theaters before the end of the year. The post Mel Gibson & Sean Penn in The Professor and The Madman Trailer appeared first on ComingSoon.net.